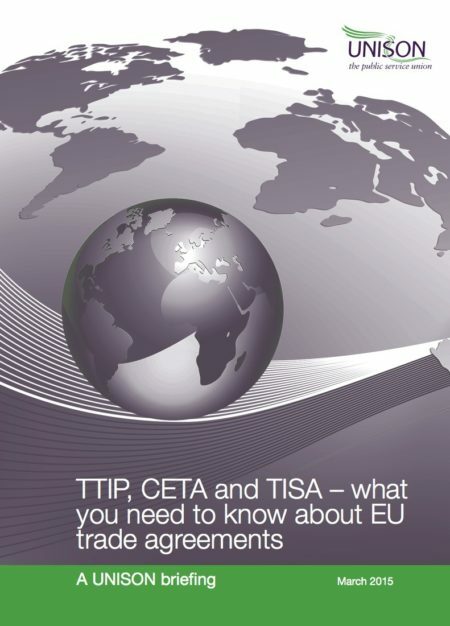 This briefing sets out why UNISON opposes TTIP, CETA and TiSA and what UNISON members can do to stop the negotiations. an agreement with Canada, the Comprehensive Economic and Trade Agreement (CETA), and a wider agreement with 23 other countries, the Trade in Services Agreement (TiSA). rights of foreign investors; finally TTIP aims to reduce ‘regulatory barriers’ to trade, forcing through a deregulatory agenda.